Well, Minnie is certainly ready for the holidays! 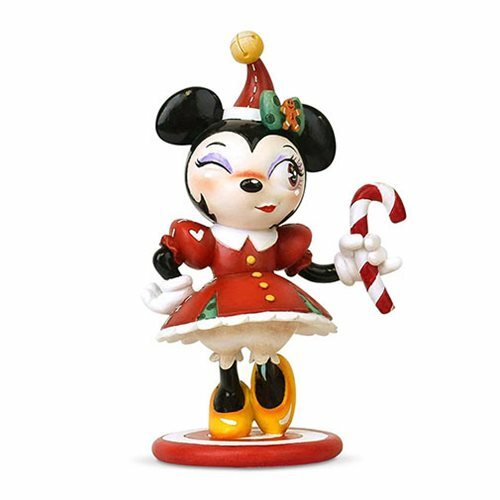 Made of polyresin and calcium carbonate and measuring about 6 1/5-inches tall, this winsome Disney The World of Miss Mindy Christmas Minnie Mouse Statue from Miss Mindy belongs in your festive home. Pair her with the Disney The World of Miss Mindy Christmas Mickey Mouse Statue (sold separately) for an especially delightful display!